Property Management and long-term rentals. Property Management and short-term rentals. 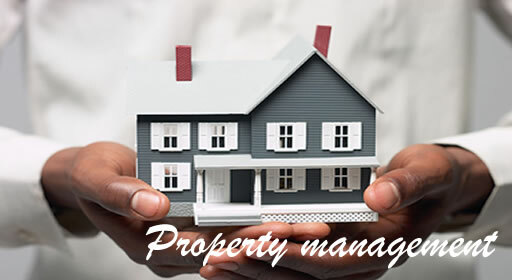 Property Management and short & long-term rentals. Owner accounting and revenue distribution (property tax, light bill, maintenance fee, trust) and any other applicable charges. Timely payment of utility bills of the property. Be on alert for expiry of insurance policy on the property. 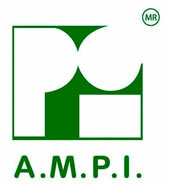 Owner management of furniture, fixtures, equipment and maintenance (interior). Perform special requests made by the Owner such as grocery list shopping (additional fee applies). Recommend and assist Owner in choosing Insurance Policy , Legal consulting, related services, furniture purchase or interior decorator, etc. that are well established and well reputed that will give the Owner security of his / her investment. Coordinate and control all reservation requests and confirmations. Maintain control of keys to the apartment at all times and provide access to the property associates as needed or to suppliers while keeping control over visits and of keys. Arrange contracts with suppliers as needed at owners cost, e.g. fumigation, locksmith, etc. Timely payment to Owner of Property revenue. Obtain Tenant’s signature on letter of agreement accepting full responsibility any damages caused to furniture and / or fixtures and / or fittings during his / her dwelling in the Property. If you will be renting your condo below you will find the amenities we suggest the unit has. These amenities do make the difference when a renter is out shopping for the best value. Maybe most of what we suggest you already have and what you do not have consider it an option but not a must. This only applies if you are looking to rent your condo. Comfortable beds with two sets linens provided per bed, and comforter. As an added value to our clients and prospects we have made alliances with well known companies to provide private tours to the most popular local attractions. Isla Mujeres – sail away in a Trimarán to Isla Mujeres (Women’s Island), this boat accommodates up to sixty passengers and the tour includes national open bar, snorkel equipment and varied activities during the day like snorkeling, swimming with the sharks, Mexican buffet lunch, live music , site seeing, spinnaker and parasailing. Chichen-Itza Classic – this tour includes pick-up, roundtrip transportation, visit to a Mayan villa, buffet lunch (drinks not included), entrance to the archeological site, guided tour in both English and Spanish, free time at the archeological site and a visit to the Suytun cenote. Chichen-Itza Plus – includes all of the above in addition to a continental breakfast, drinks on board of the bus, buffet dinner includes two drinks (beer, water or soda) at the Mayaland Hotel, a bottle of cold water at the archeological site, use of the hotel installations such as pool, gardens, bathrooms, rest area, towels. Chichen-Itza Plus & Music – includes all of the above in addition to the show presented at night, this tour is on Wednesday only. Xcaret all day – this tour includes pick-up, roundtrip ground transportation, entrance to the park, guide. The attractions in Xcaret are the aquarium, the aviary, and reproduction center of birds, mushroom garden, orchid greenhouse, beach, natural pools, sea turtles, butterfly pavilion, botanic garden, Mayan villa, museum, archeological sites, and the amazing underground river. Xcaret Plus all day – all of the above in addition to entrance to and exclusive area in the park, snorkel equipment, towel and locker, buffet lunch and a coupon with a 10% discount for water activities. Tulum & Xel-Ha all inclusive – this tour is a great combination of Mayan History in Tulum, the only archeological site in the area that has the magnificent Caribbean Ocean as a backdrop and Xel-Ha with its natural aquarium an ideal snorkeling spot. Xel-Ha all inclusive – enjoy this spectacular natural aquarium; explore the caletas, lagoons, natural wells and caves formed by the underwater rivers that flow from the amazing Caribbean. This tour includes pickup, roundtrip; food and beverage are included at any of the five restaurants at the park. In Xcaret and Xel-Ha for an additional fee one can swim with the Dolphins. Cozumel – this is the largest Island in Mexico and is known for its scuba diving. The tour includes pickup, roundtrip ground transportation to and from the docks in Playa del Carmen and roundtrip on the ferry from Playa del Carmen to Cozumel. Private ground transportation from and to the airport. Hotel reservations in all Mexico, US, Europe & South America.